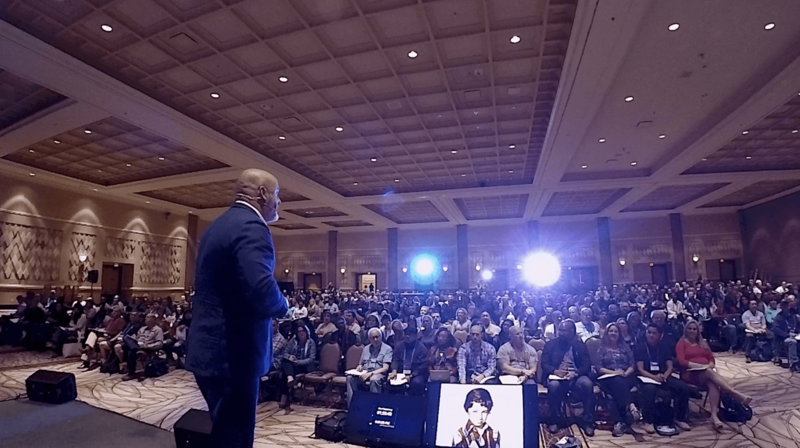 Over the past 12 years I've had the pleasure of working with thousands of real estate entrepreneurs of varying experience levels through our different coaching programs and software platforms. I have worked with everyone from investors who are just getting started to those who successfully complete hundreds of deals per year. In that time I've come to notice that there are three types of real estate entrepreneurs, but only one thing that separates them. It's what I like to call the secret to success. Let's first talk about the three types of people that get into this business, and then I'll discuss what I've found to be THE biggest differentiator between them. The average person will go to a seminar, or buy a course, with high hopes of investing in real estate and living the good life. They’ll go through a majority of the course, or will spend time at the event, and will take notes on what they want to do when they home, building a huge list of action items. Then they get home and do one or two things a week to start. They don’t really prioritize the list of things to do. They just start at the top, not looking at what's most important or what’s going to make the biggest impact on their life, and then move down from one item to the next. After a couple of months they’ve completed a few things on their list. They might have done 10% of everything listed, but they feel good and then they move on to the next thing. They go to the next event, they discover new ideas, and they come up with a whole new list of action items and start down the same path. Now let's talk about the above average person. They do things a little bit differently. They go to the same seminars, buy the same courses, make the same lists, and take the same notes. But what they next next is important... they go back and actually look at the items on their list and they prioritize it. They'll first identify that there are 40 action items that they want to complete and they will organize them in order of importance. They start with the first 10 things that they want to do, then the next 10 or 20, followed by the least important things. They focus on which items to attack the week that they return, then which items to work on the following week, and the week after that. They don't put it in their calendar to knock it out, but get about 90% of the way towards organizing it well. Once they start working on crossing things off the list, they get about halfway or so through the things they wanted to complete before they're on to the next seminar or course. All-in-all, they accomplish a few things and experience some success. Certainly more than the average person, but they still only implement about 5-10% of what they set out to do before moving on. Now we have Group A, the super successful group. I don’t know a lot of people that I'd consider to be super successful. I know probably three or four dozen of these people personally. I certainly don’t know hundreds. In all of our coaching programs that we've held, I’ve probably met less than five superstars like this. They take the same notes, make the same lists, and go to the same seminars, buy the same courses, possibly even more courses. That’s how I am. I buy everything that becomes available that I think can help me grow as a person or an entrepreneur. Anything that can make me more knowledgeable or successful. I guarantee I buy more stuff than 99.99% of the people reading this right now. I’m willing to spend $1k, $2k, even $5k to $10k on a coaching program if it can give me just one or two ideas to make me more productive. That's because I know it's going to mean $100,000, $200,000, $300,000 or even a $1,000,000 in my pocket every year, as long as I’m continuing to get better. You might think I am warming you up to buy something but, I can assure you, I'm not. I just think it's absolutely CRITICAL to keep investing in your education throughout your life. There is no more valuable piece of real estate than your mind. Back to the characteristics of Group A. Group A might not be making much money now, but they approach things very quickly. They’re very impatient. The speed at which they implement everything is dramatically different than the other two or three groups. It’s not the notes, excitement, or even the prioritization of ideas; it's that Group A implements things three to four times faster than Group B and, as a result, their income is literally 10 to 20 times the size. Over the past 12 years, I’ve learned that the faster I implement things, the more money I make across all my businesses. Regardless of the business you find yourself in, this is the one thing that you need to focus on. The secret to success, if you will. Most people believe that how intelligent or how great of a marketer they are is what sets them apart, but the truth is, none of that really matters unless they are actually doing something with it. The people in Groups A, B, and C could all have the same intelligence, and be great marketers, but ONLY the ones in Group A who are implementing action plans very quickly are the ones who will achieve success. I also learned that as a result of implementing new ideas very quickly, I also made mistakes very quickly, which led to achieving my desired results much faster. That’s why Speed of Implementation truly is the magic ingredient of success . If you are willing to fail fast, you can learn fast and, if you learn fast, you'll get to your results much more quickly. Are you wondering how to implement things faster? That's simple. You need to remove all of the obstacles in front of you. You need to get rid of the stuff that opposes speed. All those little roadblocks, constraints, and issues you've got to deal with... they are all slowing you down. Imagine a lake with crystal-clear, smooth, beautiful water and it freezes over. The ice is literally silky smooth and you put on a brand new pair of skates, which are very sharp. Imagine that you’re gliding across the lake; you’ll probably be able to obtain a high speed very quickly. Now imagine the same lake and imagine that it just got done hailing and raining, and then the freezing rain turned to snow. The lake is frozen and covered with ice, but it’s also got some water on top, and then it froze again; now you’ve got a lake that is nowhere near the same surface. Now, remember, the same ice skater with all the same potential, the same talents, drive, ambition, energy, the same mind, same mental approach, even the same tools, and the same equipment... are they going to be able to skate as fast on that lake after the ice storm? I think you know the answer to this is absolutely not. One last thing before I forget. There is a fourth group that I didn't mention above, which is the Do Nothing Group. Hopefully you aren't in that group. If you are, that's ok. The Do Nothing Group wants to invest, wants to change their life, and may even attend an event or buy a course. But that's where it ends. After that, they do nothing. They return home, forget about the list of action items, and return to life as they know it. If you think you're in this group, let me encourage you. There is a whole world out there waiting for you. You just have to TAKE ACTION. You are the only one who can change your life. You are the only one who can change the trajectory of where you end up. YOU are the only one who can decide what your future is... But you have to DO SOMETHING. And, remember, do it quickly! Success is waiting for you! Here is a free tool kit I put together for you that will help you get going.